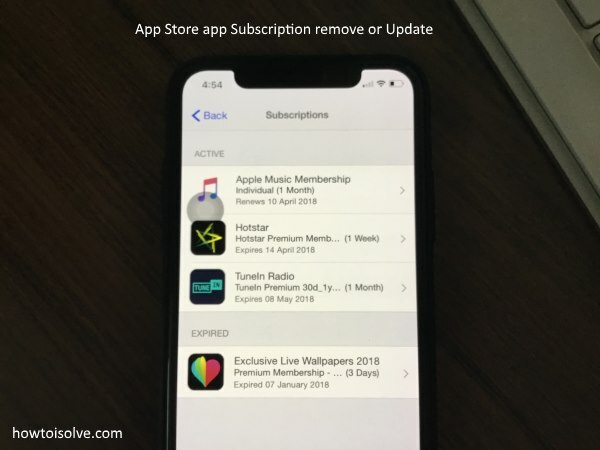 Find out all subscribed apple services like apple music, Purchase app, App running on trial and will be renewed on the renewal date. 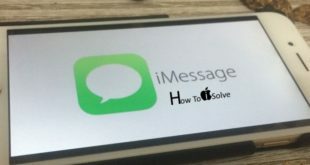 Apple allows to all iOS users to manage app subscription and find the list, Update and Remove app subscription on iPhone X/ iPhone 8 and iPhone 8 Plus and any other device. Cancel an App Store Subscription is not managed by App store app, so people are querying, App store isn’t showing app subscription on iPhone. Next, Tap on profile name > iTunes & App Store. Now, Tap on Apple ID for more details about your account like View Apple ID, Sign out, iForgot. Go to View Apple ID > Scroll Down and Find Subscriptions > Here’s active and Expired Subscriptions. Tap on to remove active subscription list. And Go with Cancel. After canceling it, some subscription won’t go away from the active list. This happens because of might be you are in trial service or plan. Are you admin of Family member of your family sharing plan, you can only see and remove app subscription, other family members only can use the app and pro features until you take action. 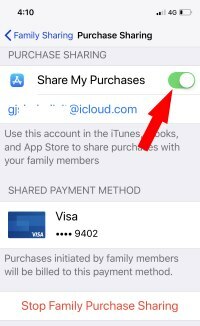 Stop Family Purchase Sharing, on your iPhone/iPad Go to Settings > Profile name > Family Sharing > Purchase Sharing > Stop Family Purchase Sharing or Disable Share My Purchases toggle. Don’t be panic to use free trial services or app, stop renew after the trial expired using this way on iPhone and iPad. Only use the trial for free and close before you charged. 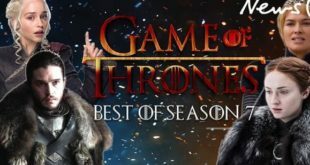 If you like this article let’s know in the comment box, Also your welcome suggestion and tips.